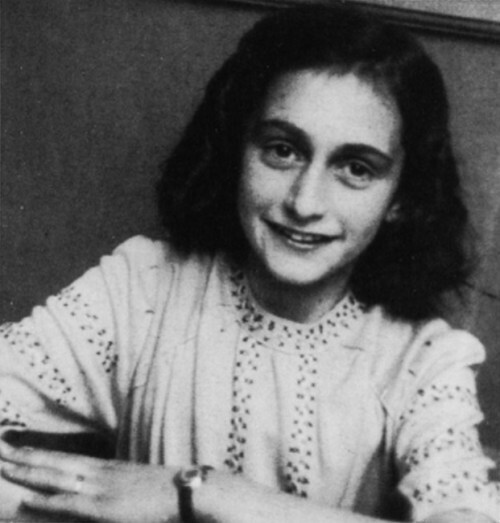 Anne Frank, daughter of Otto and Edith Hollander Frank, was born in Frankfurt am Main, Germany on June 12, 1929. Anne lead the typical life of a German child, in a neighborhood of Christian and Jewish children. However, when Adolf Hitler’s Nazi Party was elected to lead Germany in the March of 1933, anti-Semitic measures were immediately instated. This raised concern for the family’s safety, and Otto Frank sought out a new home in Amsterdam, while Anne, her mother Edith and older sister Margot moved to Aachen, Germany. While in Aachen, the Frank women stayed with Anne’s grandmother until Otto Frank secured an apartment in Amsterdam. In February of 1934, Anne and the rest of her family was reunited with her father in Amsterdam. Anne and her older sister Margot, maintained a very close relationship despite their differences in personality. Anne was more outgoing, energetic and an extrovert, compared to the quiet introvert,Margot. While living in the Netherlands, Anne and her family were comfortable. However, they were continuously exposed to stories from friends in Germany about the deteriorating conditions for the Jewish population. In June of 1938, Otto Frank formed another company with Herman Van Pels. Herman and his family, had also fled Germany in 1938 due to the escalating anti-Semitism. The Van Pels joined the Franks in their hiding place, when anti-Semitism steadily began to affect the Netherlands and the Germans invaded the Netherlands in May 1940. Upon their invasion, the Germans immediately imposed restrictions on the Jewish population. Anne’s life was affected severely by the new discriminatory laws that only grew worse throughout the year. In 1941, Anne started to attend the Jewish Lyceum, and was forced to abandon many of her friends. For her thirteenth birthday, Anne experience a brief moment of bliss when she received an autograph book from her father. Anne decided to use it as a diary. Otto Frank and his family made a decision to hide in the rooms behind his office at 263 Prinsengracht. They moved into hiding a few weeks earlier than initially planned to prevent Margot from being forced into going to Jewish work camp. The Franks, along with the Van Pels family and their family friend, Fritz Pfeffer, moved into their hiding place, the Annexe, on July 6, 1942. Anne recorded intimate details of daily life during her two year stay in the Secret Annexe in her diary. She conveyed her fear, almost daily, about herself, her friends and her family being found out. Her last diary entry was on August 1, 1944, three days before those hiding out in the Annexe were discovered and arrested by the Gestapo and sent to concentration camps.